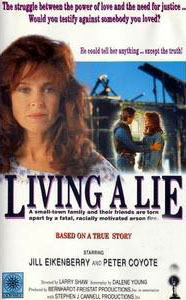 (1991 Made-for-TV movie) It's a film about love, loyalty, family, friendship and racism. Way out west, it's a moral dilemna for Jill Eikenberry. Her character, manicurist Joanne Johnson, is the kind of woman who stands by her man. She and her husband, Matt (Coyote), have held their marriage and family together, even though times on their small Southwestern ranch have been tough. One night, Matt and a couple of his buddies get drunk in a local saloon before heading home. They're also stewing in anti-Hispanic racial resentment. Matt is having a hard time making a living and has just had to sell off the last chunk of his inherited ranch property to a family named Martinez. The tragic result of their mean-spirited horseply is a small Mexican church. burned to the ground, two young people critically injured and three men tangled up in fear, loathing and lies. Joanne senses the awful truth way ahead of her spiteful, narrow-minded pals down at the local beauty parlor, and she sets out to do the right thing. 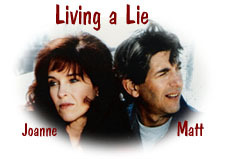 "Living a Lie isn't a very deep movie, but it's a thoughtful one with an involving story and two strong performances from Eikenberry and Coyote." 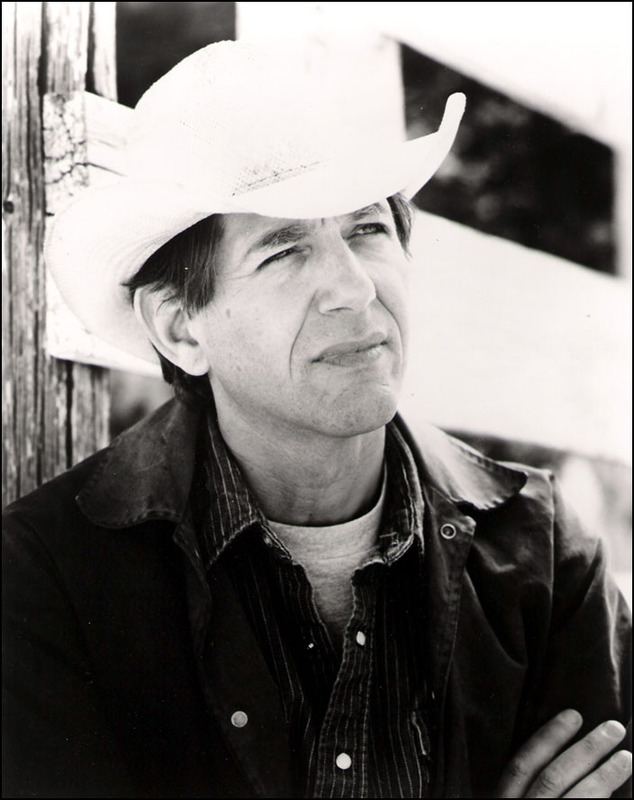 "Starring as the heroine, initially seen as a knee-jerk wife and lover (her marriage to rancher Peter Coyote bristles with sexual dynamics), Jill Eikenberry negotiates a solid segue from L.A. Law, illuminating under Larry Shaw's direction a woman driven to fight the mistrust, deception and venality around her... The story rings true; the topicality is unnerving." "It's a nice film with a social conscience, and it tries to explore the dynamics of race and family relations as it slowly unfolds... Eikenberry carries off her role as the young wife and mother extremely well... Coyote also does well in his role as the husband." "Though they're both fine actors, Eikenberry and Coyote occasionally seem far more worldly than the characters they're supposed to be playing. 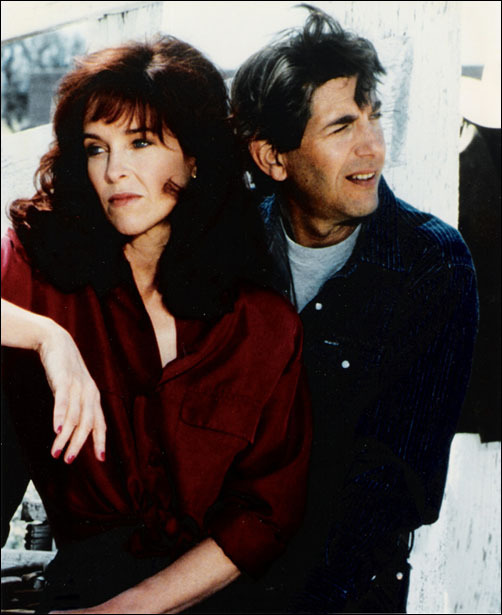 But you can see why Eikenberry, one of the film's producers, was drawn to this sexed-up, down-home role." "Living a Lie has the feel of Southwest smalltown living and the sense of folks who've known each other all their lives." CBS's scheduled resolution of a Murphy Brown cliffhanger (is she pregnant or not?) cut a vital portion of the audience for Living a Lie upon its initial September 1991 telecast.